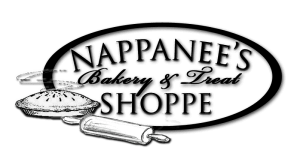 Nappanee’s Bakery & Treat Shoppe specializes in making our baked goods the old fashioned way. Our goal is to keep our products fresh and tasty. Some of our specialty items are pies, (shoestring apple, Bob Andy, peanut butter & chocolate), whoopie pies, (chocolate, pumpkin, oatmeal, mocha, red velvet, carrot, & chocolate peanut butter), cinnamon rolls, and wheat bread. We also make a variety of snack mixes, dips & deli salads. Join us for a fresh, quick and affordable lunch Tuesday through Friday, and don’t forget to visit all of the other Coppes Commons shops to see more of the artisan goods available on site!